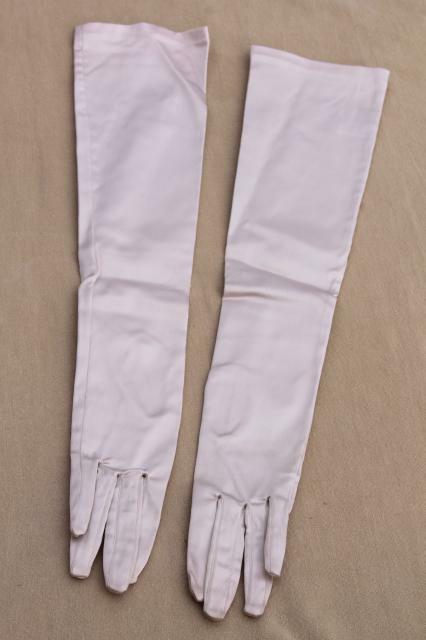 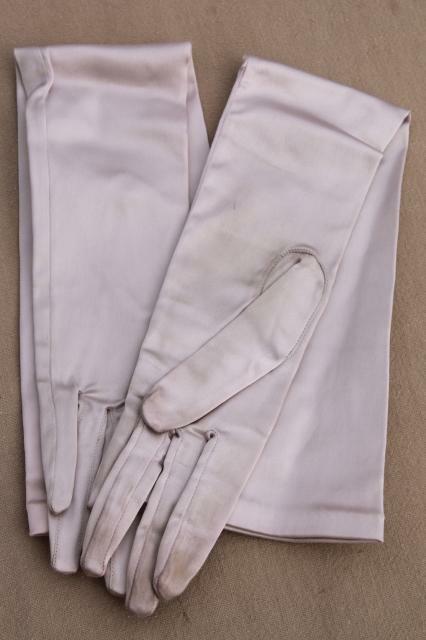 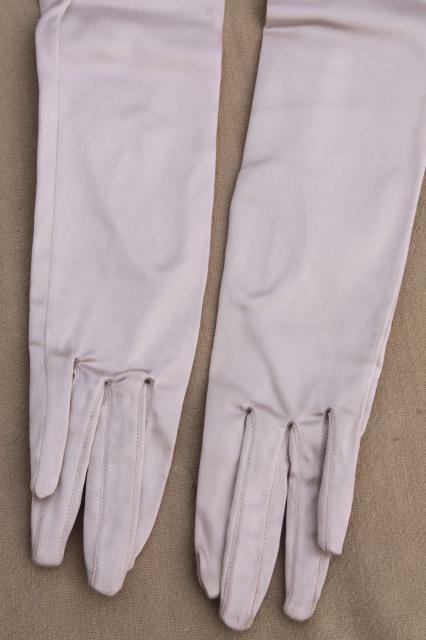 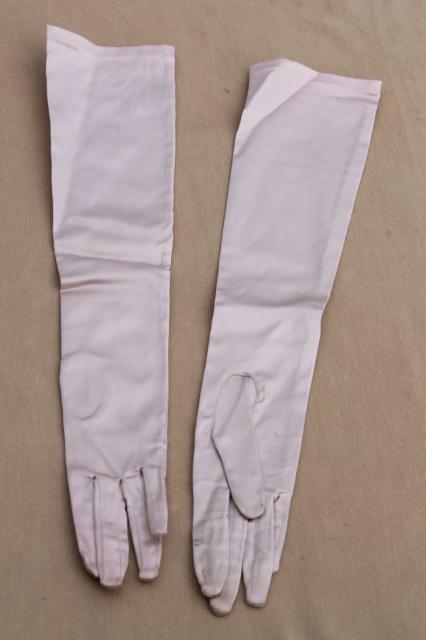 Beautiful oyster grey colored stretch satin gloves from Saks Fifth Avenue, late 1940s or very early 1950 vintage. 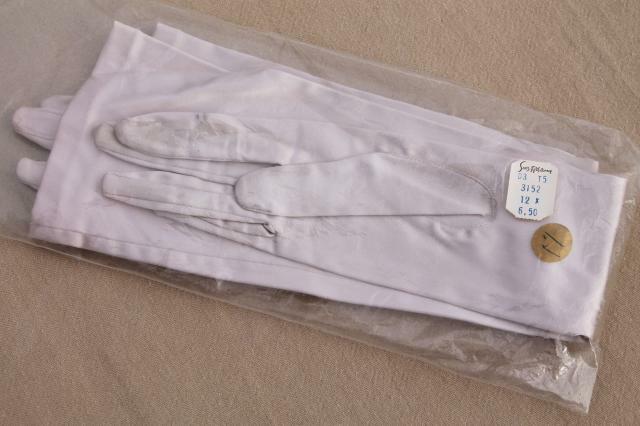 These have been worn, but were kept in the bag with the original $6.50 price tag - quite a high price in those days. 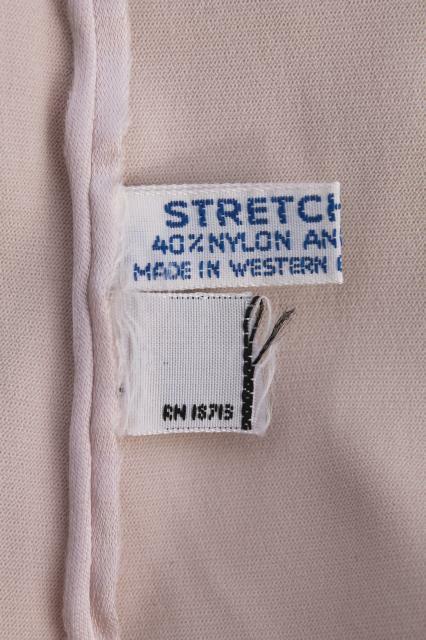 The label is marked a size medium, we'd call these a small - medium by today's sizing. 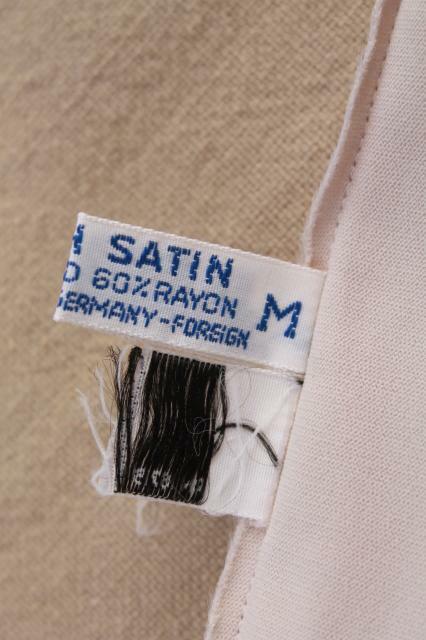 Marked Western Germany - foreign, these are a nylon / rayon blend. 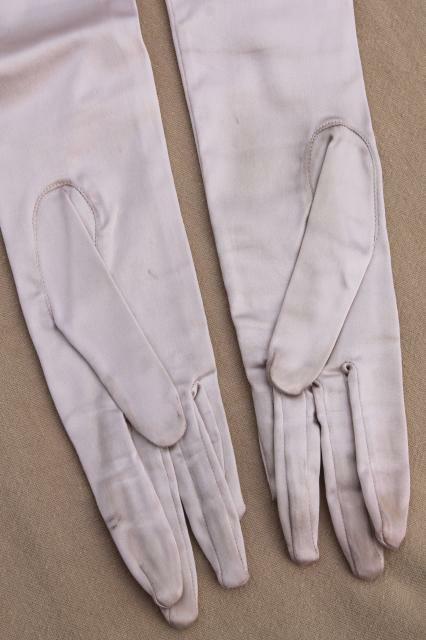 The fingers are slightly spotted / dirty from wear, we've left these just as we found them and have not had them cleaned, or washed them at all.